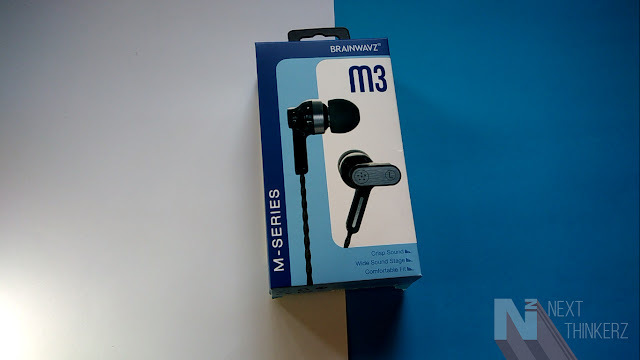 Brainwavz M3 Review: IEM Earphones for Rs.5400? 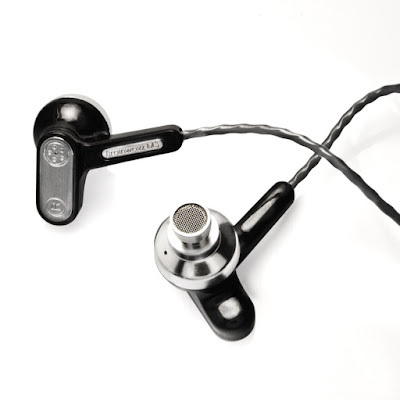 Recently Brianwavz launched their brand new Brianwavz M3 IEM Noise isolating earphones in India for a quite hefty price. Up until now, I've got a chance to review various Brainwavz Earphones though all of these fall under Rs.4000 price range. So judging the earphones considering the mid-range or affordable tag regarding sound output was rather a tad easier. But the new Brainwavz M3 earphones cost you about Rs. 5399 which would immediately create a diversion in any user's mind concerning: Are they worth it? Since finding a great pair of earphones under any budget is always a tough task. The company claims that the M3 is capable of delivering excellent sound when it comes to Highs, Lows, and Mids. So after using the Brainwavz M3 for well over two weeks, Here is my in-depth Brainwavz M3 Review. It has a frequency response between 20Hz to 20 kHz. It has got 10.7mm dynamic drivers which provide a rated impedance of 20 ohms. It has input power rated at ten mW, While the sensitivity is 115 dB at one mW. The M3 has a 1.3m long oxygen free cable which is silver plated and has a Y-cord in the mid area. Whereas it has a 3.5mm gold plated audio jack(45°) in the end. The moment you hold the Brianwavz M3 you would realize that the primary earpiece units have a rather different and unusual design, which would be typically found on Bluetooth earphones. The extra space or a hump which you might observe on the central units is useful in providing accurate highs, mids, and lows. Whereas it also doubles as a spot given to fit the earphones snugly inside your ears. That could get imagined as a permanent ear fins attached to your earphones. While that extra hump does perform the job of fitting earphones correctly and the grip is excellent. The main earpiece is made up of plastic whereas there is a metal layer which adds premium appeal to the M3, That metal strip also helps in indicating the left and right unit. Moving along the cable on this earphone is termed as oxygen free cable, which means that you will observe fewer tangles. Well, that has been genuine, and with a typical flick of the wrist, Any knots sort up correctly. Moving ahead through the cable, you would notice a Y-joint ahead, while there is no in-line mic present on these earphones which follows the footprints of its predecessors. Whereas lastly there's a 3.5mm jack present at the back which fits in smoothly, but the only thing which I hate is it's 45° angle orientation, As it gets removed, pocket-friendly league. So, in the end, the design implementation feels odd visually, but it helps in real world usage for adding that needed grip retaining a light form factor. So I've used a couple of Brainwavz Earphones which lie in the M range series. Accordingly the M1, M2 series have been known for producing a balanced output. Therefore I was expecting a similar footprint here along as well, While that is what I observed. But given that hefty price tag, I was looking for a lot more regarding Bass, but the output didn't felt appealing to my ears. Sure it is an improvement from its predecessors, while the audio output is crisp and punchy, but the bass lays on the flat side in my opinion. The Highs, Lows, and Mids as described were observed in my usage as the vocals were properly audible in any playback formats which sometimes are overshadowed by few earphones. Apart from the vocals, the Electronic music played well rather the Brainwavz M3 did a great job in this department. It did a great job in reproducing a balanced output, but the only thing which felt flat in my opinion was that punchy bass output. That been said I was testing these earphones via a CDLA connector which eventually connected to these earphones through my LeEco Le 2. So this is what I observed in my usage pattern, Overall it fits the check mark for a quality pair of earphones. Although using these earphones for an extensive period might make it feel uncomfortable, which I believe won't be a good idea. But again if you only swap the default ear tips with the provided comfy Eartips then you might observe comfort, As I did. The first thing you would notice as soon as you hold any Brianwavz earphones box is that it's loaded with detailed information about the product inside. That is very appreciated as the user gets a bird's eye view of the product, Many other brands fail in this department as they only put all the manufacturing information which is unnecessary in my opinion. So the Brianwavz M3 comes inside a hard shell box which houses six different sets of silicone ear tips in all sizes, a Velcro zip, shirt clip, one set of Comply Ear-tips & Lastly a warranty card which doubles as a user manual. Speaking of which the M3 comes bundled with two years of warranty which is typically double the than any other usual Brianwavz Earphone. These earphones have been priced at Rs.5399 which is whoppingly high than most of their in-ear style earphones. Whereas to you can buy it from following sites: Flipkart, Amazon. The Brianwavz M3 earphones are for those who want a decent design, punchy sound quality, crisp vocals, deep lows, mids, and highs. Whereas it's also for those, who don't have any budget restrictions on their mind while buying any earphones. I liked the Build & Sound quality which is why I can recommend it. But if you think about deep bass, Then it's not even close in my list. I feel that these earphones have been slightly overpriced for the output which they provide. I would rather recommend one buying a Brainwavz BLU-200 earphones which are an excellent pair of earphones priced well under Rs.4000. So that's about it when it comes to the Brianwavz M3 Review If you've any doubts or queries regarding the same just leave them in the comments below. Also See: Brainwavz BLU-200 Earphones review.